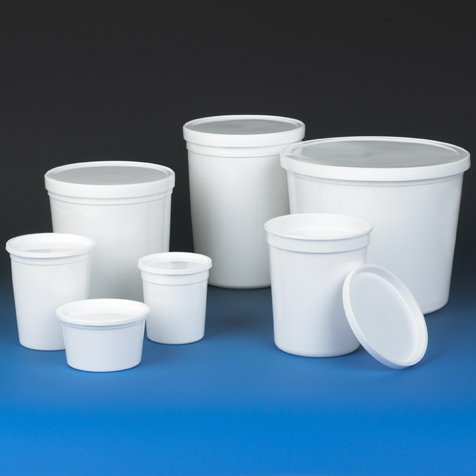 These disposable containers are made of high density polyethylene and are ideal for the collection and storage of histology and pathology specimens, fluids, powders and solids. 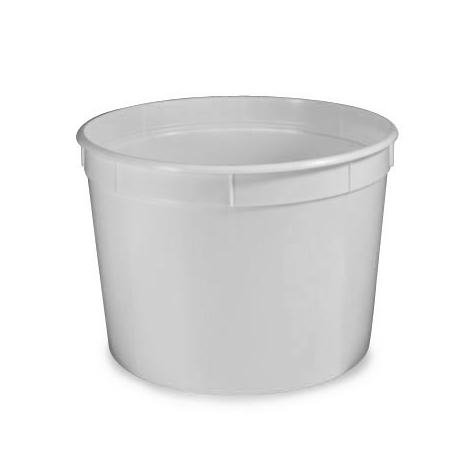 They are stackable and feature snap on lids. 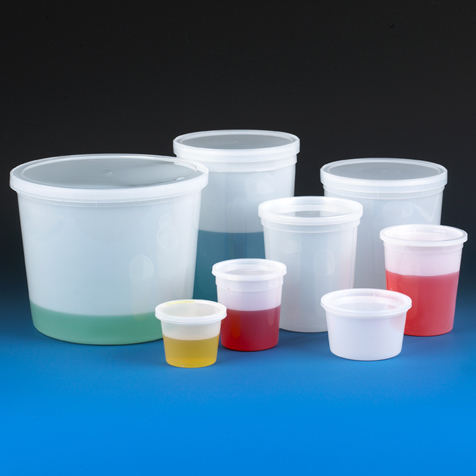 This line of containers were designed to be translucent for viewing contents. 4 oz. 271004 2.95" x 2.23" 2.5"
8 oz. short style 271008 3.80" x 2.23" 3.5"
8 oz. tall style 271009 3.25" x 3.48" 3.0"
16 oz. 271016 3.90" x 4.36" 3.5"
32 oz. 271032 4.60" x 5.40" 4.3"
64 oz. 271064 5.90" x 6.25" 5.5"
86 oz. 271086 5.90" x 7.60" 5.5"
172 oz. 271172 8.60" x 7.00" 8.0"